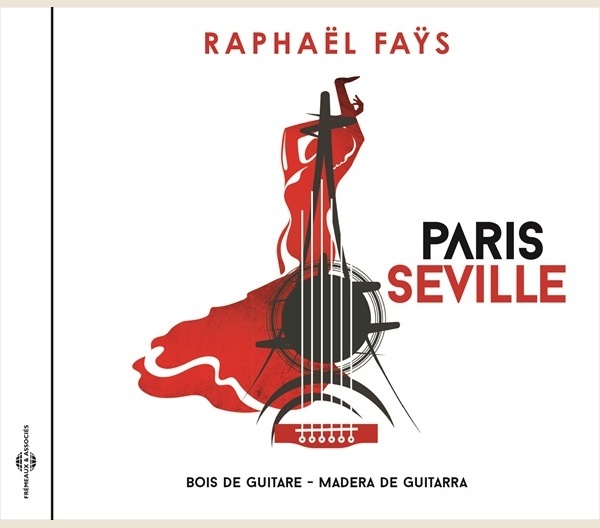 Modern Jazz - PARIS SEVILLE - BOIS DE GUITARE / MADERA DE GUITARRA - FA8562 – Frémeaux & Associés. 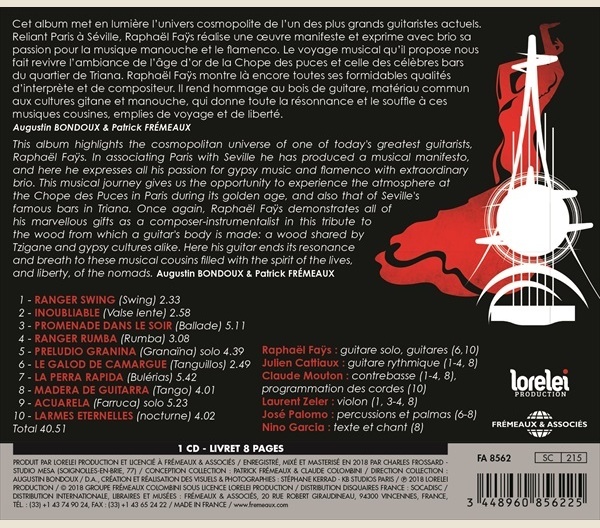 This album highlights the cosmopolitan universe of one of today's greatest guitarists, Raphaël Faÿs. In associating Paris with Seville he has produced a musical manifesto, and here he expresses all his passion for gypsy music and flamenco with extraordinary brio. This musical journey gives us the opportunity to experience the atmosphere at the Chope des Puces in Paris during its golden age, and also that of Seville's famous bars in Triana. Once again, Raphaël Faÿs demonstrates all of his marvellous gifts as a composer-instrumentalist in this tribute to the wood from which a guitar's body is made: a wood shared by Tzigane and gypsy cultures alike. Here his guitar ends its resonance and breath to these musical cousins filled with the spirit of the lives, and liberty, of the nomads.